I write this week knowing that I’m competing for your time with the Olympics, so I’ll try to make this read faster than an American speedskater with a half-second advantage on a Dutch rival. In addition to feeling pretty old seeing all the young faces on Team USA and brushing up on my air triple axel techniques, I’ve been heartened to see Americans from every part of the country competing so hard in South Korea. It is so cool to see these folks who’ve spent their whole lives working to get to the Olympic stage competing at their best. I wish Republicans and Democrats in Washington, DC could learn to be as in sync as our bobsled team. Right now, it often feels like everyone in DC is pushing in different directions. I’d like to see folks pushing together more and then getting in and trying to win the race for Team USA. Last week, our country experienced another senseless act of violence caused by someone who used a gun to kill innocent children in a school in Parkland, Florida. This event claimed 17 lives. According to The Washington Post, more than 150,000 students attending at least 170 primary or secondary schools have experienced a shooting on campus since the Columbine High School massacre in 1999. It was chilling to see on the news kids funneling out of that school, to see their backpacks in piles and to listen to the words of a mom planning her child’s funeral. The country has lost too many of its children to mass shootings in schools, churches, movie theaters and concerts. I’m unwilling to accept this simply as a fact of life. I’ve talked to many of you about this issue from all sides of the political spectrum. It’s clear to me that all of you want to protect kids and stop mass shootings. So that means there is common ground. While I’d like to see change happen quickly, Congress has thus far been unwilling to do a single thing. We’ve seen multiple moments of silence but zero moments of action. Congress needs to do better. Congress could follow the lead of states like ours and expand background checks to ensure that convicted felons or someone with a serious mental illness can’t get a weapon. That’s a proposal that has bipartisan support, but that hasn’t even gotten a hearing. 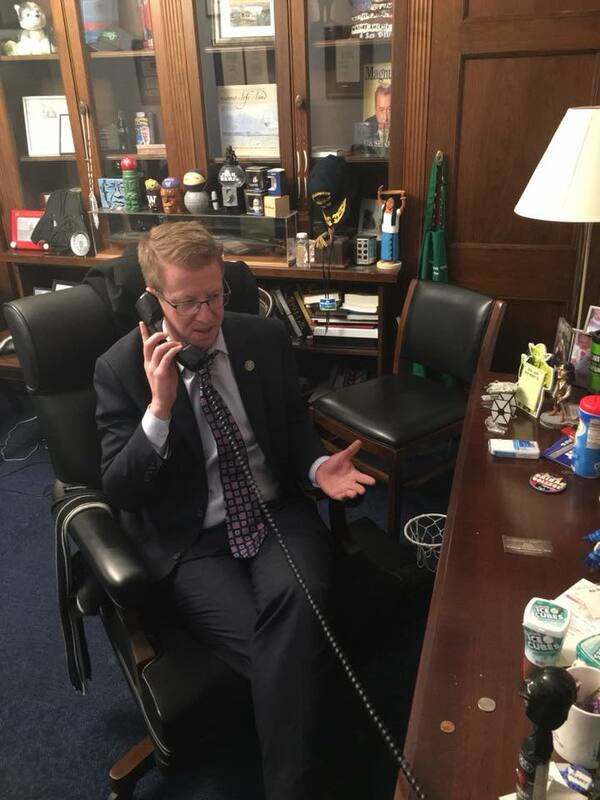 There’s been bipartisan support for banning bump stocks, but again--no action by Congress. Additionally, the Centers for Disease Control are currently prohibited from even studying the issue of gun violence to identify potential policies to keep people safe. The notion that the CDC--the main federal agency that supports health promotion and prevention--can’t even study this issue is just outrageous. We’ve even seen a proposal to establish a bipartisan commission to try to identify bipartisan solutions to address this issue, but even that hasn’t gotten a hearing. I admit that I struggle to explain the inexplicable. Even prior to the events in Florida, I’ve been working specifically on the issue of school-based violence. When I drop my kids off at school, I want them to be excited about the day ahead--not fearful for their safety. That’s why, on January 31, I partnered with a group of parents whose children were murdered in Sandy Hook Elementary School in Newtown, Connecticut. With a bipartisan group of lawmakers, we introduced legislation called the Students, Teachers and Officers Preventing School Violence Act of 2018, or the STOP School Violence Act of 2018 for short. This legislation would create early intervention and prevention programs to stop school violence before it happens. It would provide funding to train students, school personnel, and law enforcement to identify signs of violence and intervene to prevent people from hurting themselves or others. The STOP School Violence Act also permits the development and operation of anonymous reporting systems, and formation of school threat assessment and intervention teams to help schools intake and triage threats before tragedy strikes. While this won’t stop every act of violence, I think it’s a start that I hope will lead to further bipartisan action. You can read more about it here. Thank you to those of you who joined me for a frank discussion about this and other issues last Thursday. There’s been a lot of news lately about the president’s proposed budget. People are worried, and they should be. This budget cuts a lot of things folks in our neck of the woods care about. It guts funding that protects Puget Sound. It cuts programs that help low-income families feed their kids. It deeply cuts federal investments that help people afford college and learn the skills to help our region better compete in the economy. It calls for investments in infrastructure but sticks states and local governments with the bill. On top of that, the president’s plan adds $7 trillion to the nation’s credit card bill. I don’t think I could come up with a plan that’s more fiscally irresponsible and, honestly, so downright mean-spirited as this one. The guy that wrote the budget for President Trump, Mick Mulvaney, the Director of the Office of Management and Budget, said the day it came out that it is a "messaging document." The same thing happened last year, the President proposed deep cuts and fiscally irresponsible investments, and Congress tried to fix it. Our country doesn’t need “messaging documents.” We need a responsible budget. We need investments that create more opportunity for more people in more places. Done right, responsible government investment is a uniquely-powerful tool capable of creating more jobs and better economic opportunities. America doesn’t have time for Washington, DC’s stupid games. The focus may be on the Olympics, but the real competition has much higher stakes. As you read this, countries are racing to out-innovate and out-compete America in the global economy. Those governments aren’t shutting down or proposing deep cuts to things that help their people prosper and businesses compete. Meanwhile, our government has wasted weeks focused on winning the messaging game. DC has left people without important answers. Because of this plan, kids right now are trying to figure out if they'll have adequate financial aid to help pay for college. 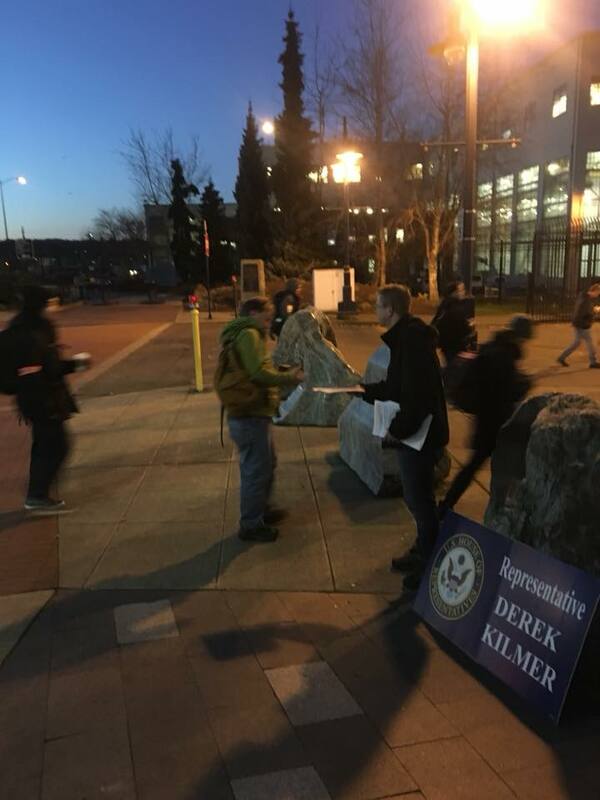 People who work in fishing and tourism in our region are wondering if the government is going to protect salmon and orcas in the Puget Sound. Folks in the skilled trades are ready to go to work fixing the region’s infrastructure. The president and Congress are bickering over a meaningless, mean-spirited messaging document. Rather than playing games, Congress and the White House should get focused on getting something done for our economy. They could start by taking infrastructure more seriously. I’m a member of a group called the New Democrats, which outlined a responsible plan that invests in infrastructure and would put people in our region to work. You can check it out here. Let’s start there. The country should also invest in educational opportunities that will help build a workforce that can compete in the 21st century economy. I want to see Congress boost career and technical education programs that help young people learn skills that will help them land jobs in the skilled trades. I recently toured Peninsula High School and saw some of the great work happening there. Check out this article from The News Tribune for more. Congress should expand access to high-speed broadband and healthcare in rural areas and upgrade clinics that help veterans access the health care they deserved and earned. Congress should make smart investments in places like the Puget Sound Naval Shipyard. There are infrastructure needs at PSNS that will help our military better prepare for the challenges we face. Congress should fund the Small Business Association, so it can loan business in our area money that helps them do business overseas. There’s a whole lot more that can help. Keep an eye out on my website and on Facebook and Twitter for updates throughout this process. 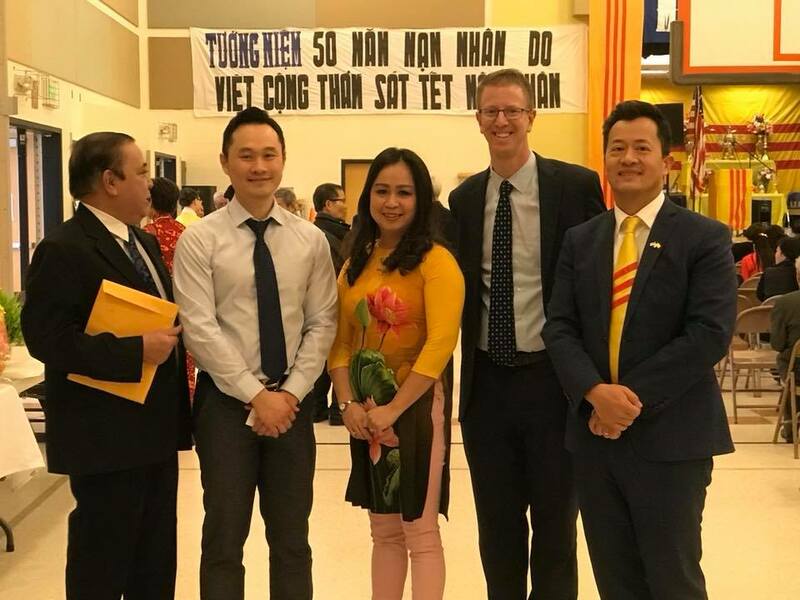 I celebrated the Lunar New Year a little early with the Asia Pacific Cultural Center at their 20th annual New Year Celebration, and the Vietnamese Community of Tacoma and Pierce County. I’m proud to represent this beautiful region. 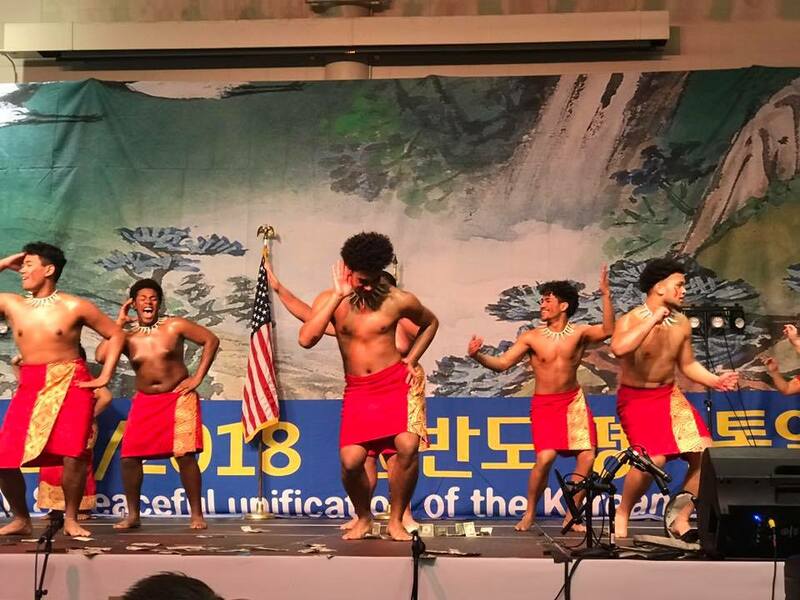 It's a privilege to see how the unique cultures of our friends and neighbors are celebrated and woven together into one great regional community. 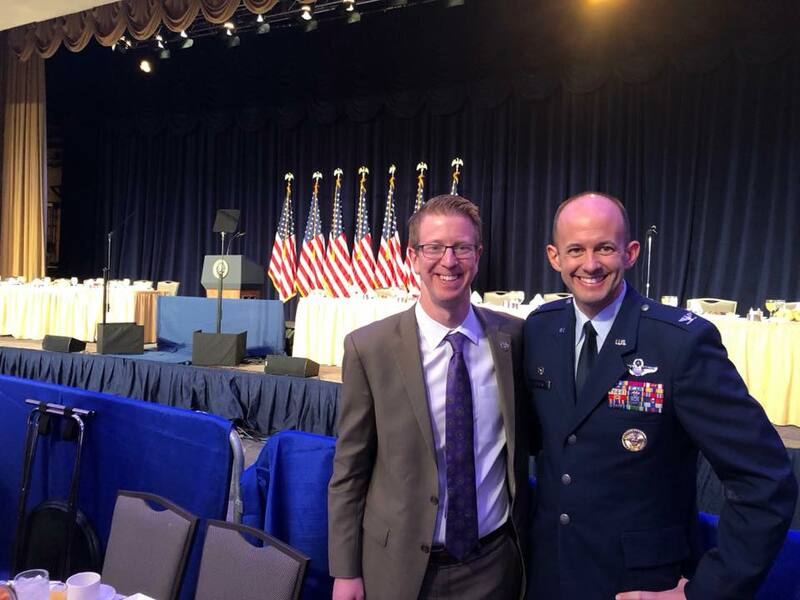 I invited my friend and fellow Port Angeles High School grad, Colonel John Teichert, to join me at the National Prayer Breakfast. Colonel Teichert serves in the US Air Force as the 11th Wing Commander and is currently stationed in the DC area. We heard from Rep. Cedric Richmond, Chair of the Congressional Black Caucus, and House Majority Whip Congressman Steve Scalise, who spoke about his faith and his journey to recovery after he was severely wounded by a gunman over the summer. Read more about Col. Teichert’s visit here. Finally, I try to get down to the shipyard as often as I can to hear directly from the hardworking folks there as they clock in. I’d love to hear from you too. Please give my office a call or send me an email if I can be of assistance to you. You’re the boss, and my door is always open. That’s it for this time--I'll write again soon.